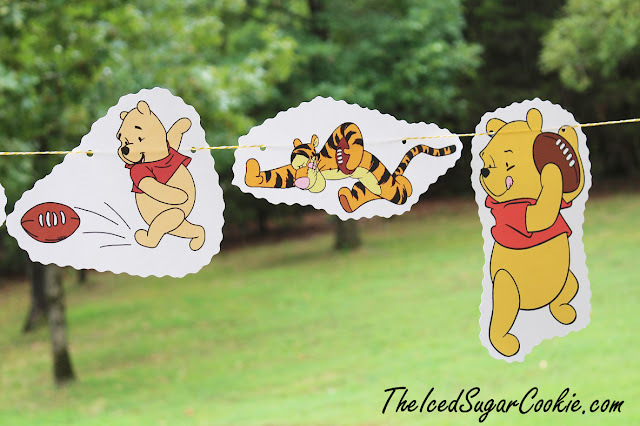 You make your very own DIY winnie the pooh, tigger and piglet playing football banner just like I did. 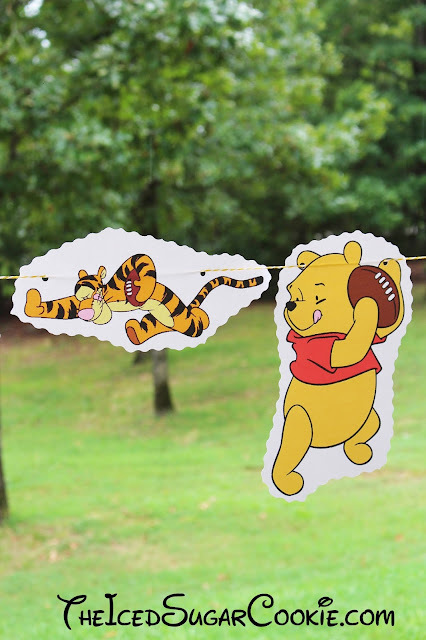 I found these cute clipart images of them at disneyclips.com and I printed it off on white card stock and then used decorative cutting scissors to cut it out. I used a hole punch and punched two holes in each picture and then ran some raffia cord string through it. 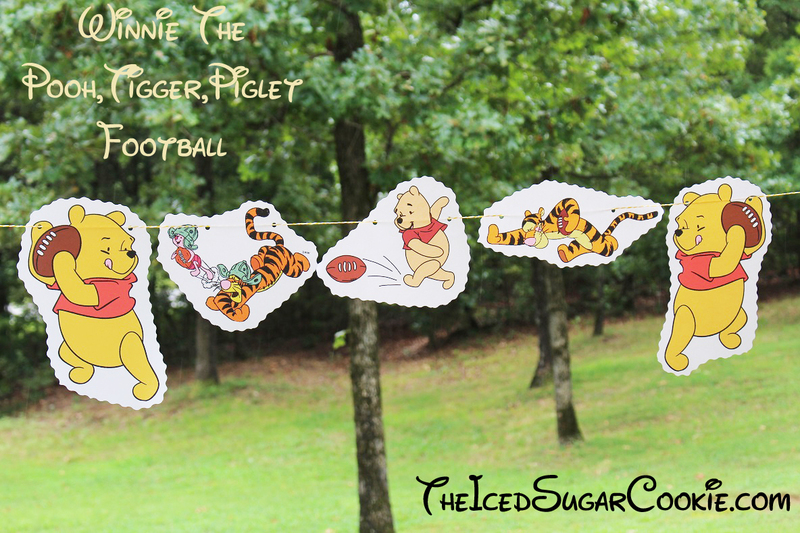 This would be great for a football Winnie the pooh themed birthday party.